Welcome to Portugal! 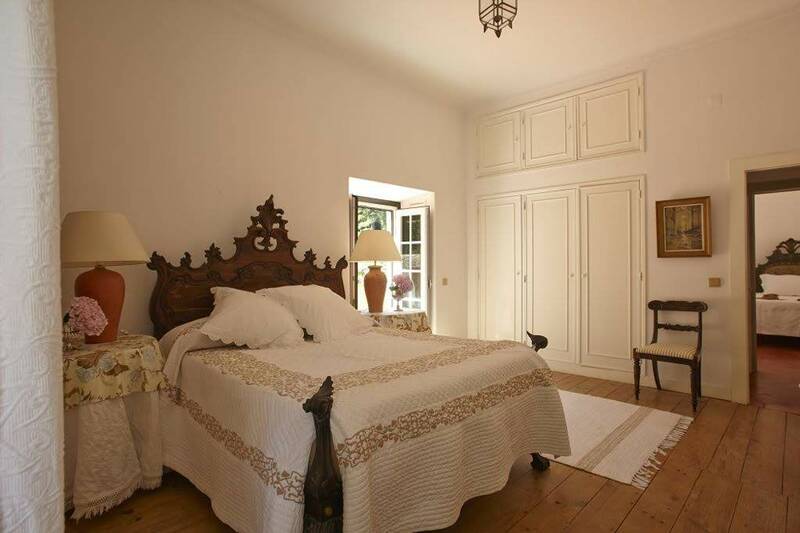 We will meet you at the Lisbon airport (LIS) and transport you by private van to our hillside villa estate, your countryside Portuguese home for the week. After a bite to eat and a leisurely afternoon to explore the estate, Jo will present an orientation for the week. Then you will enjoy an amazing Gourmet Dinner provided by Chef Walter and Artistic Gourmet Adventures at the villa. Wake rested and refreshed. 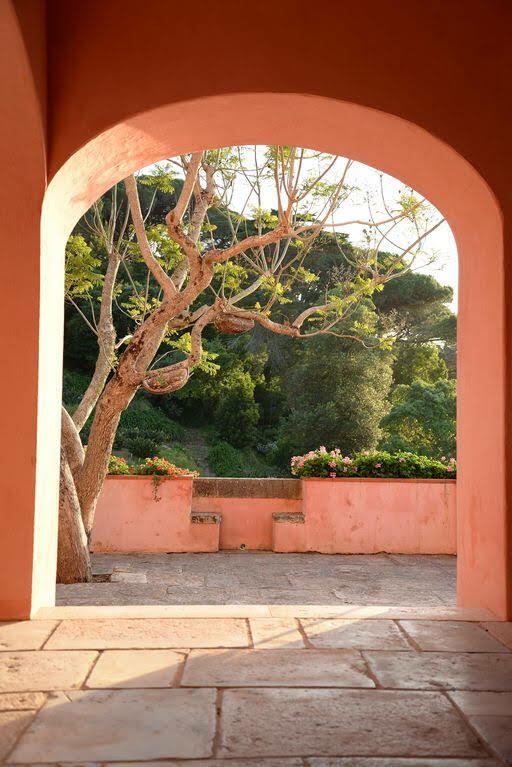 After a filling breakfast at our Villa we will spend the day painting the many amazing vignettes at the estate: the ancient chapel, the artesian well, the orange trees, the manicured gardens and the hills and Atlantic ocean in the distance. Mid day, you will enjoy a specially prepared luncheon on the terrace prepared by Chef Walter and his staff. More painting and then a delicious gourmet dinner at the villa again prepared by Chef Walter. 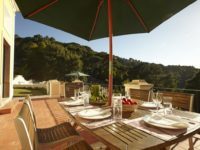 Breakfast, lunch and Gourmet Dinner provided by Le Cordon Bleu-Paris Alum Chef Walter Eagleton and Artistic Gourmet Adventures at our hillside villa estate. 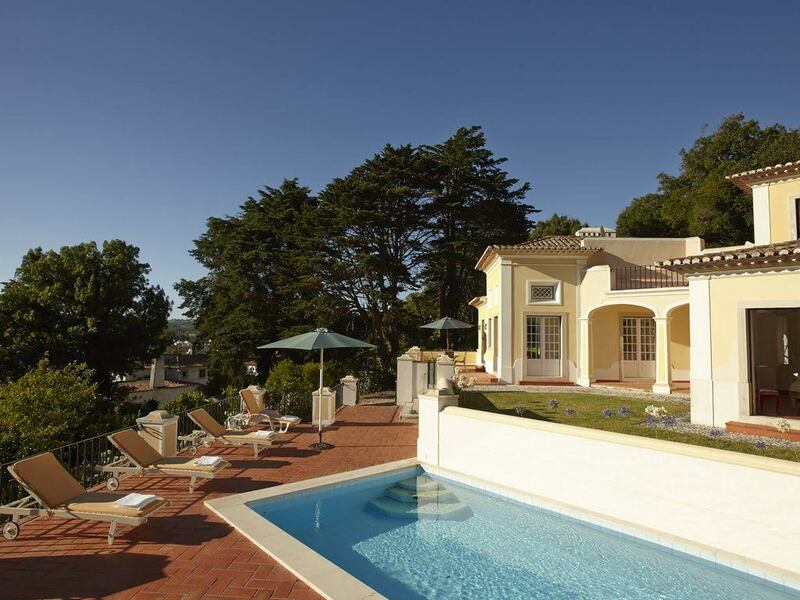 After a delicious breakfast at our villa, we will venture out to the fascinating town of Sintra. Sintra is a town in the foothills of Portugal’s Sintra Mountains, near the capital, Lisbon. A longtime royal sanctuary, its forested terrain is studded with pastel-colored villas and palaces. 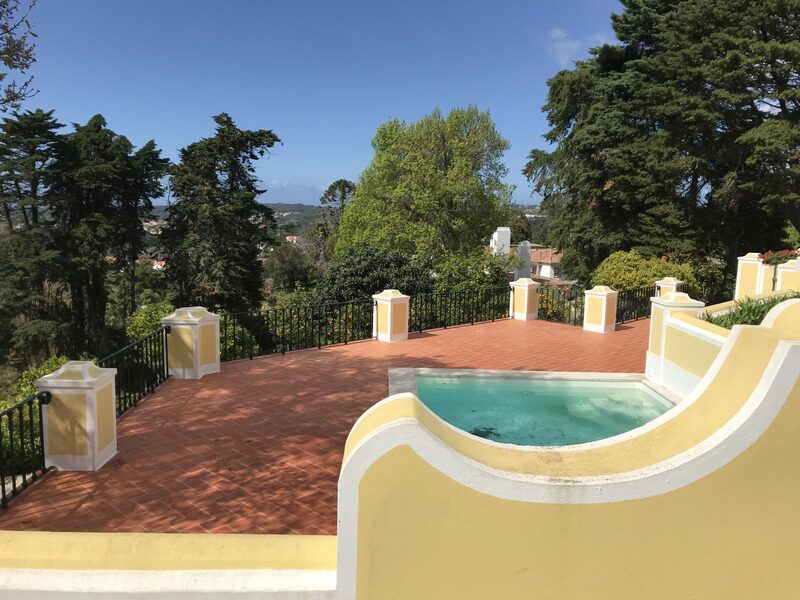 The Moorish- and Manueline-style Sintra National Palace is distinguished by dramatic twin chimneys and elaborate tilework. 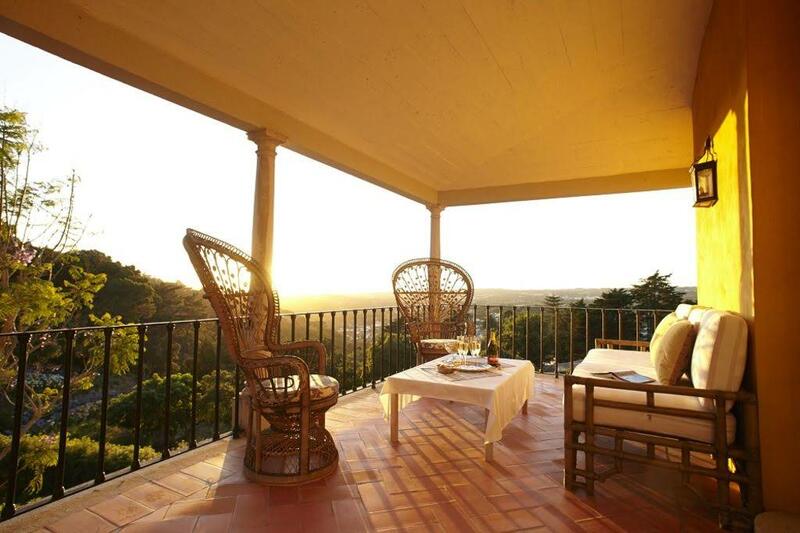 The hilltop 19th-century Pena National Palace is known for a whimsical design and sweeping views. Following Jo’s lead we will pick several venues to set up our painting stations for a few hours of painting. Lunch* in Sintra, then more painting, shopping or sightseeing. We will then head back to our villa for an evening of delicious food, fine wine, and relaxation. Breakfast and Gourmet Dinner provided by Le Cordon Bleu-Paris Alum Chef Walter Eagleton and Artistic Gourmet Adventures at our villa. After a homemade breakfast, we will continue our Adventure and head to the western coast of central Portugal to the Silver Coast. We will stop at a favorite spot on the cliffs overlooking the ocean for a few hours of painting. Then lunch* nearby on the beach before we head south to Cascais-part of the the Portuguese Riviera with a beautiful marina and fishing boats.We’ll then head back to our Portuguese home away from home and enjoy a relaxing evening with a multi course gourmet dinner. Breakfast and Gourmet Dinner provided by Le Cordon Bleu-Paris Alum Chef Walter Eagleton and Artistic Gourmet Adventures at our villa. Today, after breakfast, we are off to tour Lisbon in the morning. We will take a tour on one of Lisbon’s San Francisco-like trams to get an overview of the city. Lisbon is Europe’s second-oldest capital (after Athens), once home to the world’s greatest explorers, like Vasco da Gama, Magellan and Prince Henry the Navigator, becoming the first true world city, the capital of an empire spreading over all continents. It is one of Europe’s most soulful, captivating and picturesque capitals, built on a series of hills with scenic vistas from every angle. The city of the oceans, the only European capital with sunsets on the sea, one of the world’s greatest natural harbors which attracted different civilizations, now reflected in its architecture and culture recalling Phoenicians, Celts, Romans, Visigoths and Moors. You will love this charming visual time-warp with vintage trams and medieval village-like neighborhoods and a reminiscence of the romantic decay of Venice, the exoticism of Naples or Istanbul, the laid-backness of Rome, echos of San Francisco, and Iberian spirit. 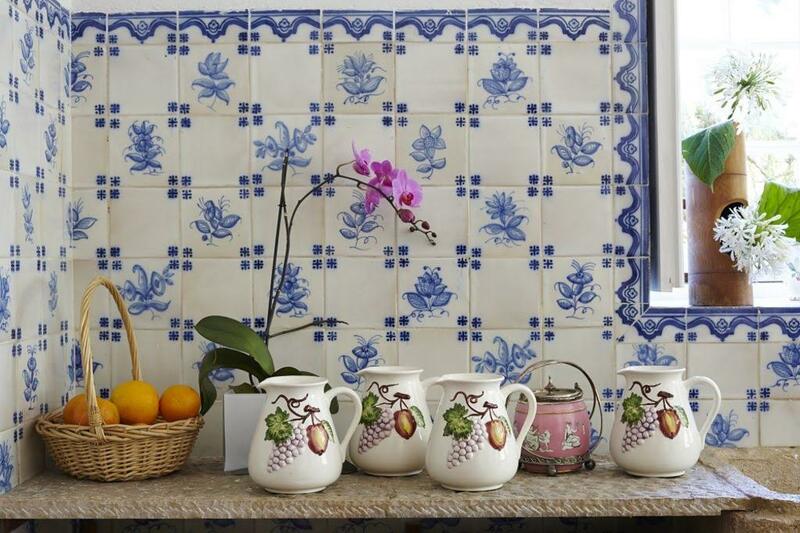 Lunch* in Lisbon and then shop, paint or just sit along the river Tagus River (or Rio Tejo). Then, back to the Villa for another amazing dinner and fellowship. Awake rested and ready to paint. We will enjoy breakfast and again spend the day outdoors at our estate painting en plein aire. 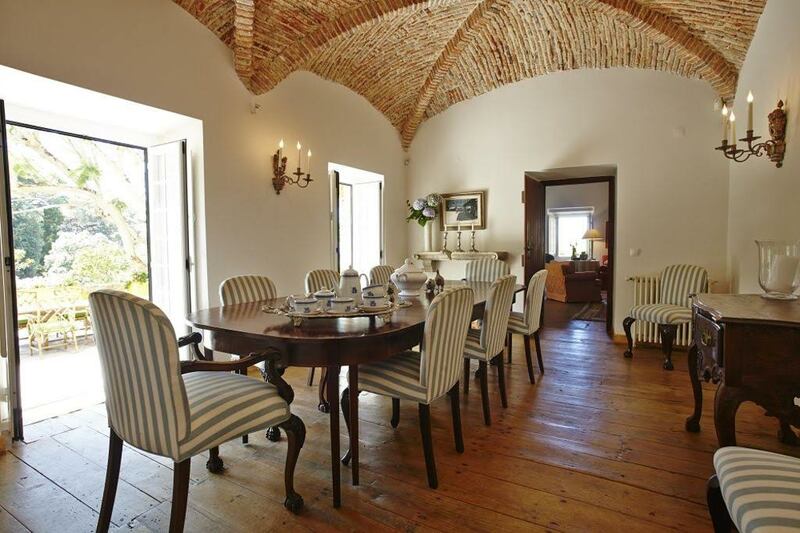 Lunch midday and we will finish the evening with a special farewell dinner at the villa. 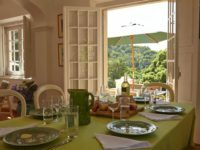 Breakfast, lunch and dinner provided by Le Cordon Bleu-Paris Alum Chef Walter Eagleton and Artistic Gourmet Adventures at our villa. 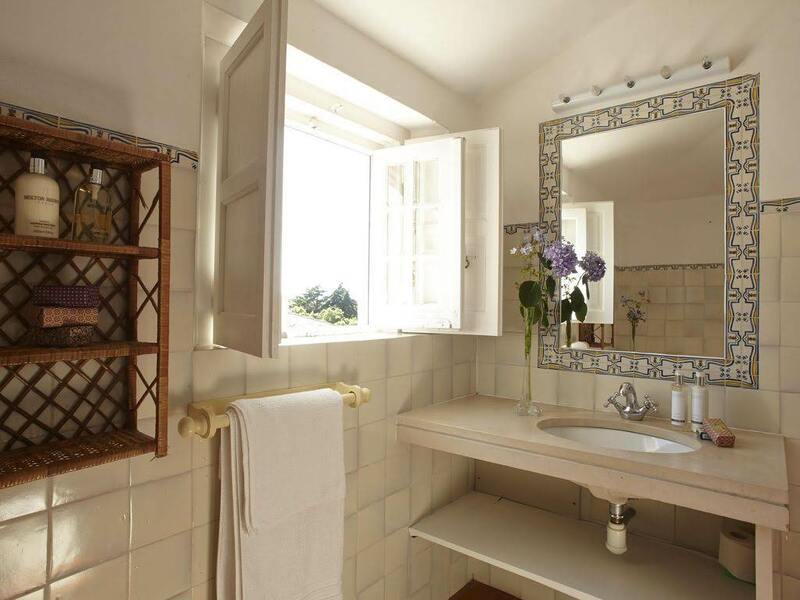 Today, we enjoy breakfast at our villa, then we say goodbye, transport you to the Lisbon airport and send you on your way home or on to your next adventure! *Lunches not included in Adventure cost. 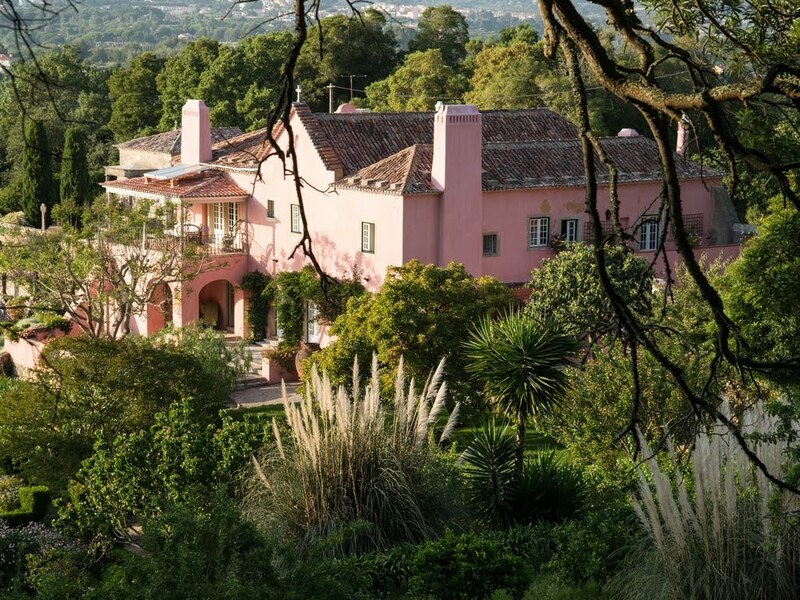 Recognised as a place of beauty and seclusion dating back to the Roman era, the Quinta is set on a lush hillside below the pine and mimosa woodlands of the Sintra National Park. 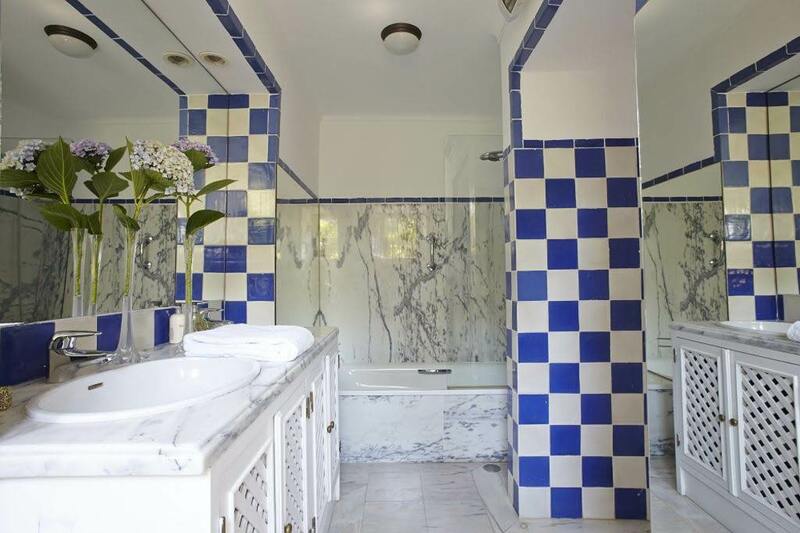 Surrounding the house is an impressive, well tended 10 acre garden with terraces of fruit trees and flowers, mature trees, a kitchen garden and 2 swimming pools. A restored Renaissance chapel beside the house sits on the site of a Roman temple. 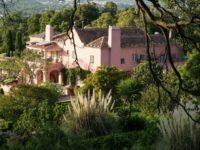 Once a monastic retreat and a former 16th century manor house, the fertile hills of the Quinta were terraced and farmed to provide produce for the monks who would come to convalesce at the Quinta from a monastery further up the mountain. 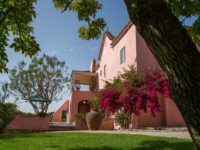 These ancient terraces stretch out in several layers and now form open lawns and French gardens immediately in front of the house with a profusion of hydrangeas, geraniums, roses, lavender and exotic birds of paradise. 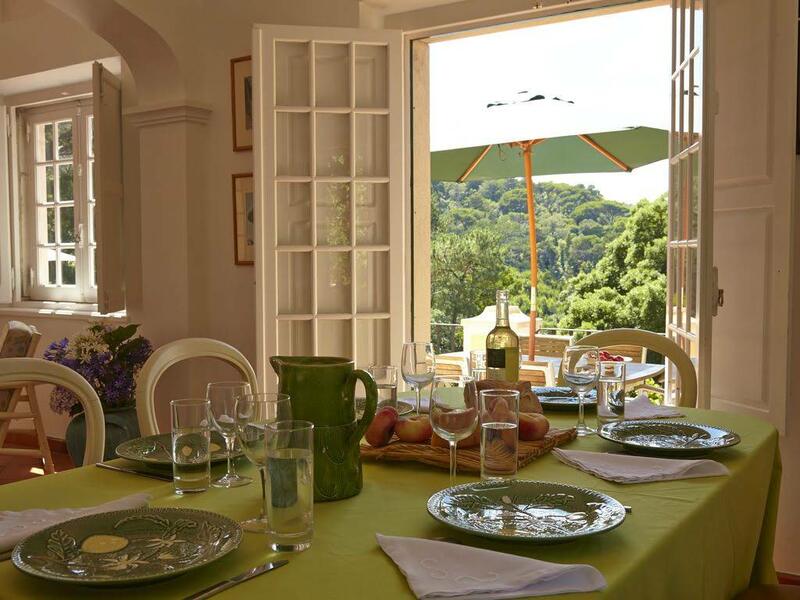 A rich variety of trees include lemon, orange, pear, fig and walnut and guests to the Quinta are welcome to eat any of the fresh fruit in season. The pool is sheltered and near an ancient spring, where remnants of Moorish frescoes can still be seen. The documented history of the property starts with Gaspar de Cisneros, a noble Knight of the House of the Duke of Braganza. In the mid 16th century, Gaspar de Cisneros was living at the Quinta da Matalva (now Quinta Sao Bento) which was part of a ‘dependency’ comprising four quintas, the other three being Sao Thiago, Pombal and Infanta. 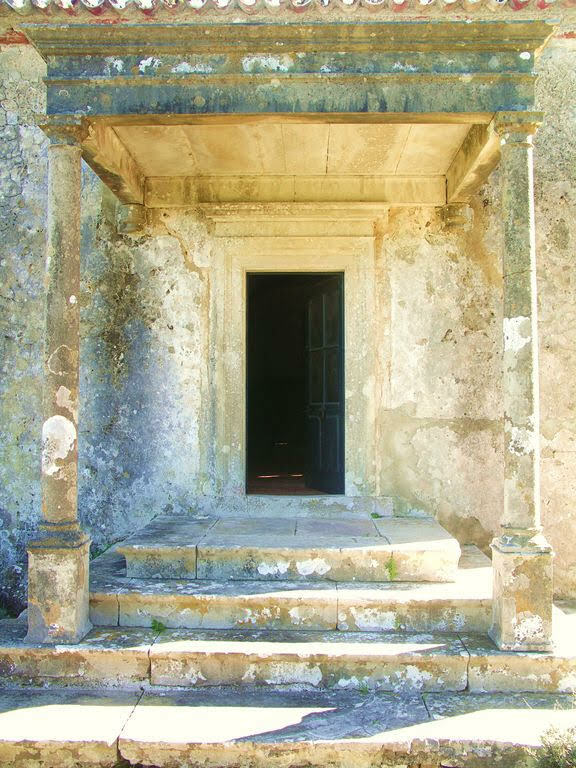 Gaspar described his property as a ‘noble and sumptuous Quinta’ and following his request to build a capela, was granted permission in 1548 by the church authorities. Due to the rains and the terrible road conditions, Gaspar and his family had great difficulty reaching the parish church of Sao Martinho in Sintra. In 1551 Gaspar gifted the Capela and surrounding land to the Monastery of the Trinity, which maintained the Capela into the 18th Century. 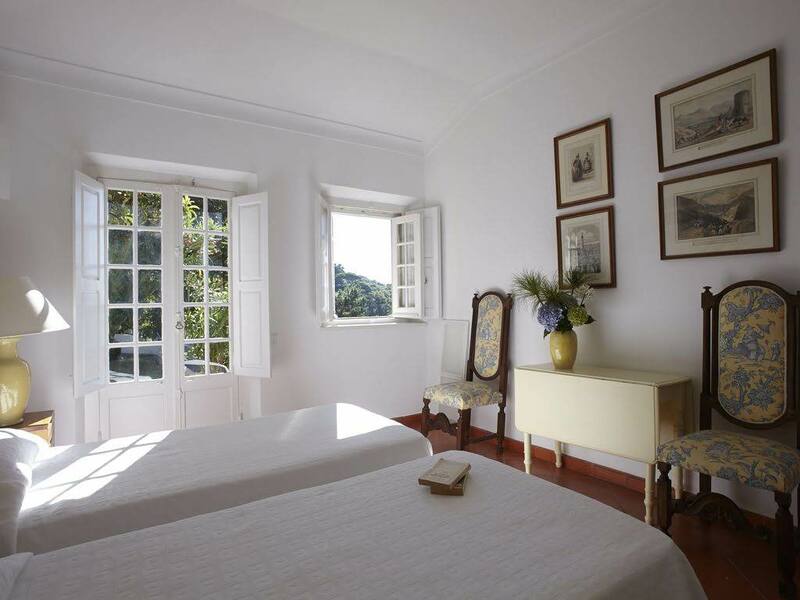 The Quinta became used as a place where monks that had fallen ill could come and convalesce before returning to their monastery further up the Serra. 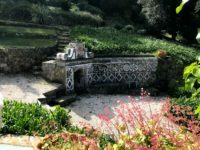 The garden terraces cut into the hillside and the available spring water would have provided an ideal opportunity to grow vegetables and fruit. 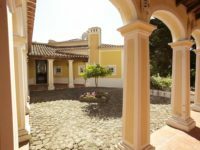 The Portuguese Quinta was as much regarded as a small agricultural estate or farm than as a grand or sophisticated manor building. families took refuge in the Monastery of Pena under the protection of the Jeronimous monks. In 1755 Portugal was devastated by an earthquake. The Marquis of Pombal, the illustrious Prime Minister responsible for rebuilding much of Lisbon, sought to reduce the power of the Catholic church and seized Church lands across the country. It is not known when the State took over the Quintas but by 1867 Admiral Sartorius, a distinguished naval officer bought the properties and gave his daughter, Dona Isabel the opportunity to live in Sao Bento with her husband Major Astley Campbell Smith, the illegitimate son of William IV. In the 1920s the Irish Countess of Carrick purchased the Quinta and lived here until her death in the 1940s.The Countess was buried in the local Sintra cemetery but her memorial stone carved with the Celtic cross, lies directly in front of the Capela, overlooking the valley. 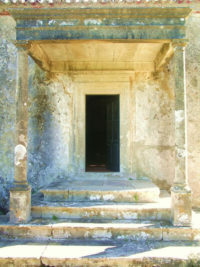 Her daughter, Lady Hobson inherited the property and in the 1950s had the Capela consecrated by the Bishop of Gibraltar. 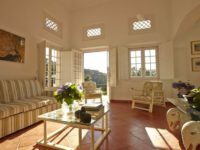 In 1981 Peter and Monique Bryers purchased the property and undertook an extensive restoration of both the Quinta and the Capela. $3450 pp single occupancy ➧ Non-painters welcome! Adventure balance is due Monday, 10 February 2020 and can be paid online. Email us for room availability and to register and book!